Years ago my wife and I took a trip to New Orleans. We fell in love with it. Granted we stayed on Bourbon street, but never really spent much time on it to be quite honest. We steered away from that main street and entered other areas in town to try an array of food. I could eat that city all day long, and if my wife was not with me, I probably would have practiced gluttony. 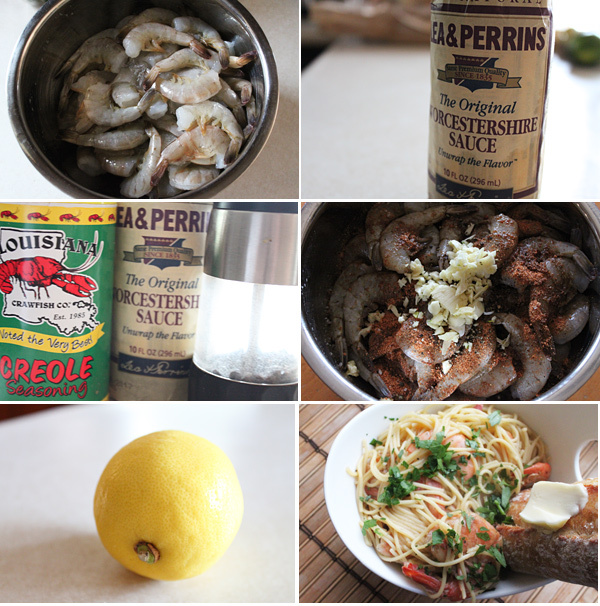 There’s one dish known as New Orleans shrimp that I think everyone must try. It is not spicy, but it is balanced by a bunch of butter, lemon, and other spices that makes you digging for bread to dunk into these delicious juices. 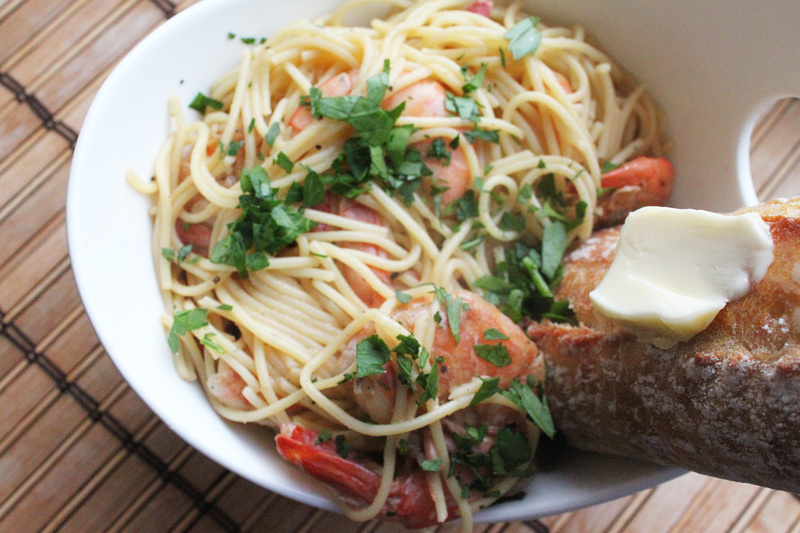 I tossed mine with pasta to make it more of a meal, but you can simply pour the cooked shrimp into a bowl, get some rustic bread, and get to town. This dish goes pretty quick, so if you are cooking pasta, you can do it in parallel. To a large bowl, add the lemon juice, worchestershire, black pepper, Creole seasoning, and garlic. Give a good mix, then gently fold in the shrimp. Marinade the shrimp for about 10 minutes. If you are going to be folding the shrimp into the cooked pasta, this is the time to get the pasta water boiling before dropping the pasta. Next, get a large skillet on medium heat. Add in the the entire mixture from the bowl, and cook just until the shrimp become slightly pink. This is when you are going to want to lower the heat, and begin adding the butter, a couple tablespoons at a time. Once the butter begins to melt, add in a few more tablespoons at a time until the butter is completely gone. Yes, I know it is a lot of butter, but so is bagna caulda, and that is what makes the final sauces so flipping delicious. Once the butter is fully melted and the shrimp cooked, season with a pinch or two of salts, and pour into a serving bowl, or fold into pasta (your call). If serving from the bowl, place the bowl on a large plate surrounded by chunks of French bread, and dig in. Get some shrimp, dunk into that delicious sauce, and repeat. If you are looking for a great game day food, and one that will serve plenty, give this one a try, it’s super delicious. Hope you enjoy!